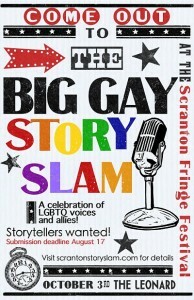 We were super excited to bring The Big Gay StorySlam to the Scranton Fringe Festival on Saturday, October 3rd, 2015! Plans for the next one are in the works for October 2016, so stay tuned! Ten storytellers each shared a true, personal story inspired by the theme “Glory Days.” This event was a celebration of the vibrant and diverse voices of the LGBTQ Community and our allies! 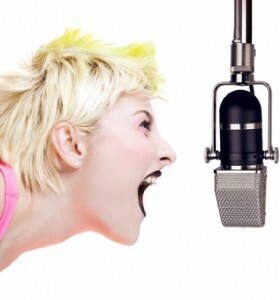 The joy of a storyslam is that one never knows what to expect! Stories can range from pants-peeing hilarity to soul-wrenching heartbreak. StorySlams are an irresistible fusion of theater, memoir and documentary art. This event is rated “R” for mature themes (and we weren’t disappointed!). You can check out all the stories by clicking on the storytellers names below to watch their video. 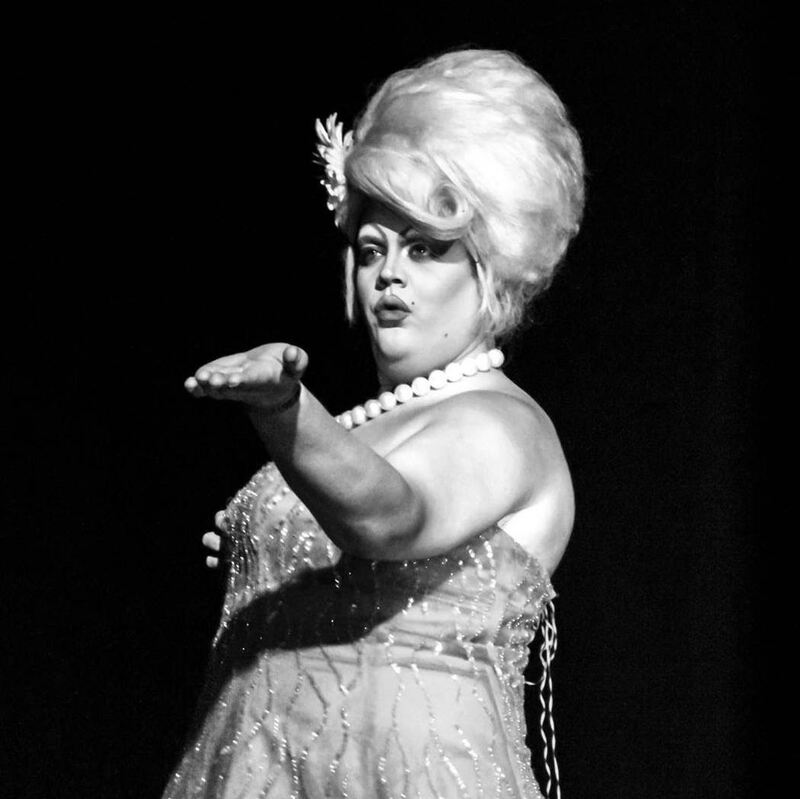 The electric Estella Sweet was our Mistress of Ceremonies for the evening! • Steve Clark is the two time winner of the “Best Storyteller in Philadelphia,” awarded by First Person Arts, and winner of the February 2015 Scranton StorySlam. • Dee Culp is a transgender woman who loves biking and blogging and writes Living Your Truth, an LGBT-focused column appearing every Friday in NEPAScene.com. • Pamela Alex DiFrancesco is a queer activist and a writer of fiction and literary nonfiction. Their debut novel, The Devils That Have Come to Stay, is a radical Acid Western that completely flips the American Western on its head. Originally from Larksville, Pennsylvania, Alex now lives in New York City. • Will Krisanda is a writer and actor who divides his time between Scranton and New York where he studies acting at The Barrow Group Theatre Company and stars in BROTHERS, a web series about four trans men living in Brooklyn. Will began his transition from female to male in 2009. • Nathan Lund, a Midwesterner by birth, moved to Scranton three years ago and is an active volunteer for the NEPA Rainbow Alliance, a local LGBTQ+ service organization. • Angelia Petrillo is a comedian from West Scranton and a Penn State alum who has been sticking her foot in and out of the comedy world for almost ten years, most recently appearing at Grrrls Night, a girls only showcase open mic once a month at Ale Mary’s. • John Pivovarnick is an actor, director, and writer from Dunmore, Pennsylvania. He appeared in the film Paper Heart (winner of the 2009 Waldo Salt Screenwriting Award at the Sundance film festival), and on stage has played roles as diverse as Vladimir in Waiting for Godot, Falstaff in Twelfth Night, and Cindy Brady in The Brady Bunch Live! • Hudson Rush is a Pittsburgh-based artist who will come to Scranton for the inaugural Scranton Fringe Festival with her traveling interactive art piece, “Resurrection.” As part of the Pittsburgh scene, Hudson Rush collaborates with art centers, family support centers, and vets organizations to explore new ways to process trauma and loss through art. • Rabbi Daniel Swartz is the spiritual leader of Temple Hesed since August 1, 2006, and is a committed ally of the LGBTQ community. Five judges determined the winner. Our judges this round included Maureen Duffy, Alexander Lester, Joshua Mast, Michael Muller, and Daye Pope. Part of the proceeds of this event will go to support Equality Pennsylvania. This city has some tales to tell…and we want to hear yours! If you would like to be a featured storyteller or to be notified by email of upcoming events, please contact us using the form below.